Notice the things happening around us as we speak. Many of these occurrences were predicted decades ago, not in some publicity stunt on television nor were they witnessed in some circus side show. These predictions were observed by world leaders and scientists, visiting upon the idea that another Nostradamus was in our midst. Who made these predictions? Bulgarian-born Baba (Grandmother) Vanga died in 1996, at the age of 85. Before she died, however, she was revered as a saint in both Russian and Europe. Why? Baba Vanga was viewed as the Nostradamus of the Balkans, predicting at an 85% success rate. Although her “powers” were astonishing, she wasn’t born with them. After a freak accident, Vanga changed forever. Baba Vanga was born Vangelia Pandeva Dimitrova in a small village at the foot of a volcanic mountain range in what was then the Ottoman Empire. At the age of 12, according to the tales at the time, Vanga lost her eyesight in a tornado-her eyes were fused shut and covered in a black soot-like substance. Vanga’s parents found her, but were too poor to have her eyesight healed, so she remained blind. While she was still lost and waiting for rescue, she experienced the first vision. After Vanga’s vision, she understood her purpose in life. She was now able to predict the future and heal those who were sick. It took little convincing from Vanga, and she soon had a loyal following. Baba Vanga was sought after by numerous scientists, politicians and celebrities during her lifetime. Historians would come from all over the world to witness her abilities and seek her knowledge. Baba Vanga even became an advisor to the Bulgarian communist party leaders. She was kept under surveillance by these leaders and allegedly exploited for her gifts. Meeting places and her home were bugged by the country’s secret service. Baba Vanga’s predictions were more than speculation, they were seen as highly protected secrets that could forewarn of the world’s disasters. Some of Baba Vanga’s predictions that came true During the 1950s, Vanga predicted global warming and the tsunami of 2004. She talked of polar ice caps melting and giant waves crashing onto beaches destroying everything in its wake. During the 1950s, Vanga predicted global warming and the tsunami of 2004. She talked of polar ice caps melting and giant waves crashing onto beaches destroying everything in its wake. 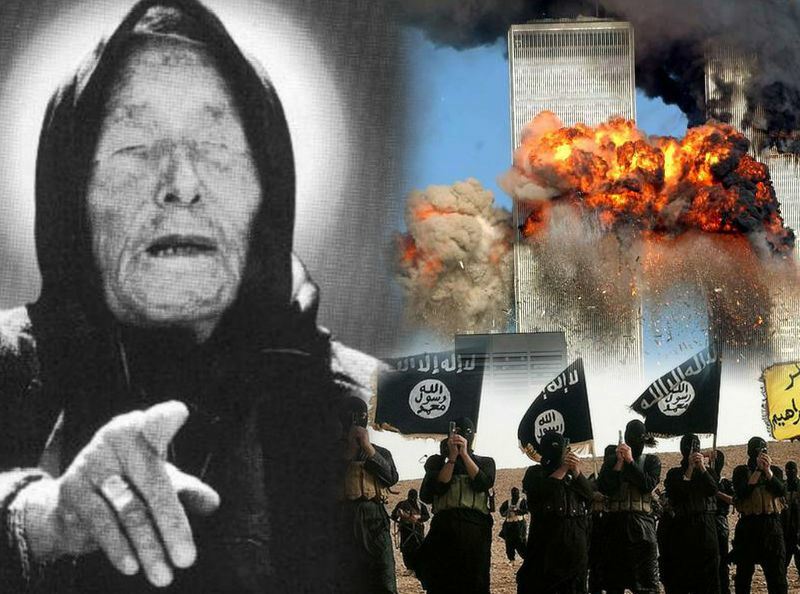 In 1989, Vanga predicted The September 11, 2001, terrorist attack on New York. In 1980, Baba Vanga predicted the sinking of the Russian submarine, “Kursk” in the year 2000. Vanga also predicted that an African American would be the 44th president of the United States and that he would also be the last president. 2016: Muslims will invade Europe. The campaign of destruction will last for years, eventually driving out most Europeans. 2028: Mankind will travel to Venus to try and find new energy sources. 2048: Rome is named the capital of the Islamic caliphate. The world thrives under Islamic rule. 2130: Civilization will live underwater, with the help of alien life forms. 2262: Planets will change orbit. 3005: There will be a war on Mars. 3797: Everything on Earth will die. Take heart, the human race should be advanced enough to travel to other star systems, by this time. Baba Vanga predicted the rise of ISIS and was preoccupied with the idea of “The great Muslim war.” For many, a doomsday frenzy is at hand. Chilling prophecies state that 2016 is the year that Muslims invade areas of Europe, a plan that started in the Arab Spring in 2010. Think about the past year, watching as ISIS moved closer to Europe, by taking Sirte, a Libyan city overlooking the Mediterranean. Sirte now operates under Sharia law! Leaders have recently cemented their authority by crucifixions and beheadings. Could Vanga’s prophecies be happening right before our eyes?